TOWT (The One Woman Tsunami, the acronym I will be using to describe my wife in this blog in recognition of the irresistible force of nature that she is) and I went to the Paralympics yesterday evening to see the Sitting Volleyball events at the Excel in Docklands, TOWT’s old stamping ground. 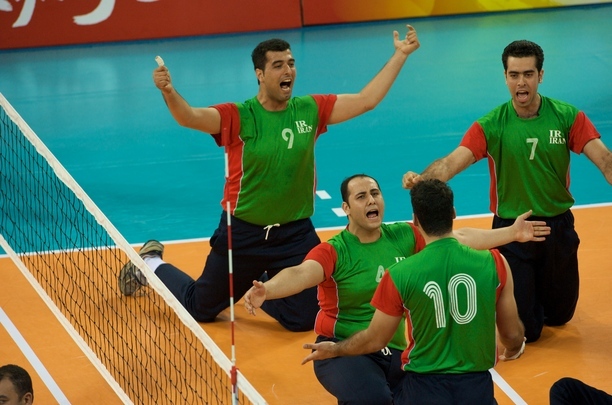 Both matches were very one-sided with Egypt beating Morocco by three sets to nil and Iran (who had won gold in 5 of the last 6 paralympics) thrashing Rwanda, the first sub-Saharan nation to compete in the event, by the same score. It was a little incongruous having to decide which of these two odious nations to support. The British love of the underdog meant that Rwanda just got the nod. It was my first exposure to disabled sport and, as TOWT sagely remarked, after a while you got so absorbed by the game that you forgot that the contestants were disabled. It is always difficult for the able-bodied to comment on the sport without being accused of being patronising – so I won’t. Did I leave the event uplifted and at one with the world? Yes. That’s all that need be said. 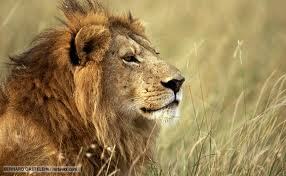 For readers in Essex this is what a lion looks like. Police in Clacton should have put on enquiry when they saw this sentence – across the caravan park Gill and Steve Atkin were watching Come Dine With Me when they first saw the big cat in the field around 150 metres away. Last week researchers linked obesity to declining mental performance. Today, researchers revealed that under 18s smoking cannabis regularly lose up to 8 points in IQ. Essex Police have yet to confirm that they are looking for an obese cannabis smoking youth to help with their enquiries. Where did Indo-European languages originate? Anatolia, in modern day Turkey, at least according to a study of 103 ancient and contemporary languages using a technique normally used to study the evolution and spread of disease. Using DNA modelling and genetic techniques to exploring the linguistic commonalities of language, researchers Gray and Atkinson have concluded that words changed or mutated from a common source. The rate at which words changed could be used to date from which Indo-European languages diverged from one another. Their conclusion was that the origins of Indo-European languages could be traced back to 7,800 to 9,800 years ago, coinciding with the introduction of farming techniques from Turkey across Europe and Asia. Three down, forty three to go, forty six points to find. TMS stretched their unbeaten home record to 34 with an ultimately disappointing home draw with Tranmere who had won their first two games. TMS took the lead just before half-time with a Morgan header and but for some inspired keeping from Fon Williams and some failures to follow up on initial shots would have run out comfortable winners. Inevitably, Tranmere equalised at the death through the exotically named Akpo Akpro. On the positive side, the defence looked solid and the midfield gave the team a good base to work on. Good to see John McMahon back at the Meadow s Ronnie Moore’s assistant. In my view, Tranmere are the plimsoll line of the division – finish above them and you should be safe. On Saturday’s showing this should be achievable. All in all, a promising start to the campaign. 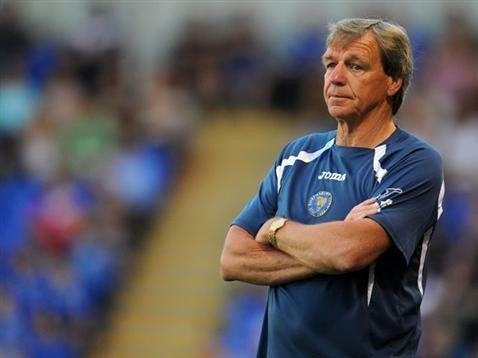 Noted the first managerial casualty of the division this season – Andy Thorn of Coventry. The origins of the health and safety legislation were laudable – to extend the protections offered to all employees and members of the public when visiting the workplace. But today the word “‘elf and safety” are a by-word for petty-fogging bureaucracy – the human equivalent of “The computer says no”. Employees can’t be bothered to accommodate the requests or wishes of their clientele and wrap their laziness up in cod pseudo-health and safety codswallop. Let the fightback against such nonsense start here! What is the key to long-life? 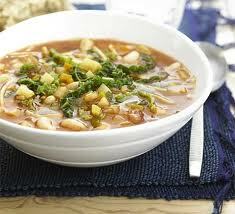 The humble minestrone soup, at least according to the Melis family in Sardinia. The nine siblings range in age from 105 (Consolata) to the baby of the family, Mafalda (78) and are recognised to be the world’s oldest group in terms of combined age. Sardinia itself has 371 centenarians, a ratio of 22 for every 100,000 of population. Asked what their secret for longevity was, Alfonso Melis (89) attributed it to eating genuine food, meaning lots of minestrone and little meat, and always working. One of the undoubted benefits of London hosting the Olympics is the so-called Cultural Olympiad which has accompanied it, with many of the galleries and museums putting on blockbuster exhibitions over the summer. Another good thing is that TFL has done such a good job of scaring people away from London that hardly anyone is going to see them, meaning easy (and unobstructed) access to those who brave our fragile transport infrastructure. Today I went to the stunning Shakespeare exhibition, Staging The World, at the British Museum (http://www.britishmuseum.org/whats_on/exhibitions/shakespeare_staging_the_world.aspx) which had everything that the rather sad RA exhibition didn’t. It centred on our most famous playwright and sought to place him in his cultural context. 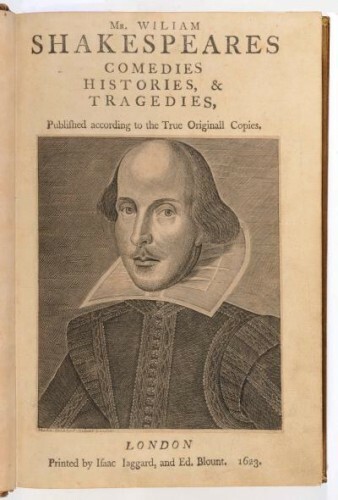 As a bibliophile, I couldn’t get enough of the old books and manuscripts (pictured above is the frontispiece to the first folio of his collected works published in 1623). Exhibits ranged from the everyday and mundane (coins, shoes, clothes) to the majestic (a beautiful Murano glass ewer) to the royal, exotic and classical. The curators succeeded in giving a real sense of what life was like at the the end of the Elizabethan and early Jacobean period and the issues which concerned them – the legitimacy of James’ succession, the religious settlement, witchcraft and conspiracies (Guy Fawkes plotted in 1605, don’t forget), Catholic priests dressed as pedlars, Spanish threats and, ultimately in 1614 the peace settlement, the unification of the kingdoms of England and Wales, foreign exploration and the gradual awareness of different cultures and lifestyles. The stand-out exhibit or me was the enormous genealogical chart which was used to justify James’ succession to the throne. Methinks he protests too much. Each exhibit was illustrated by a quotation from the bard and there was clever and telling use of videos technology to deliver principal passages from his plays. Time well spent. Catch it if you can.